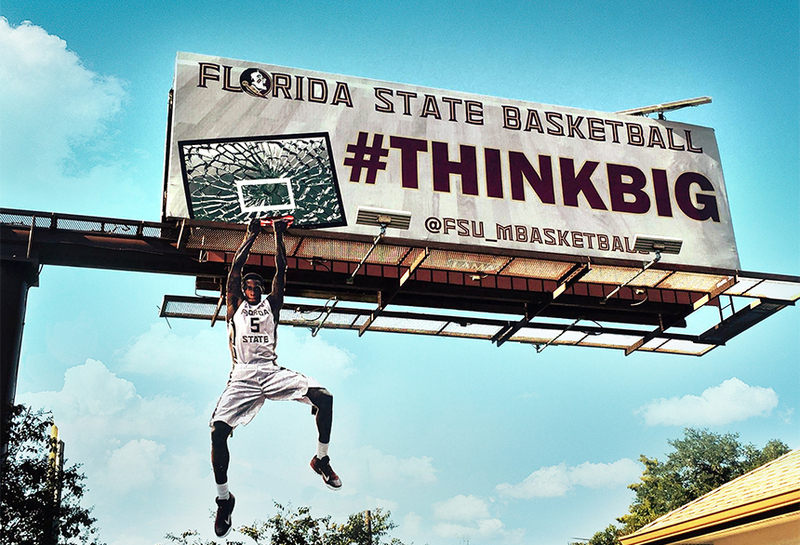 FSU ran a creative bulletin campaign using Lamar's extension capabilities in Tallahassee. The bulletin featured a larger-than-life basketball player extension hanging from the bottom of the structure. The creative featured the hashtag #THINKBIG.